With so many apps and services to manage manually, automatic downloads for app updates are simply fantastic. Having to go through each of them manually would be a major annoyance so the feature is more than welcome, at least most of the time. 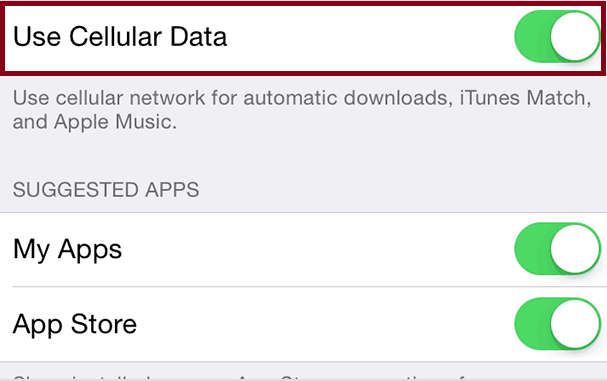 By default, Apple allows apps to automatically update using cellular data, something that can eat up on your data limit like there is no tomorrow. So while I would not recommend turning automatic updates off, you should really only allow them to update via Wi-Fi. 1. Open the Settings in your iOS device. 2. Go to the “iTunes & App Stores” menu. 3. Find the toggle that reads “Use Cellular Data” and turn it off. 3b. You can choose to disable automatic updates entirely through the same menu too by turning the “Updates” toggle off. 4. Disabling this setting should be enough most of the times but users on iOS 9 may also have to disable Wi-Fi Assist as that feature may still use your mobile data for updates. To learn more about it, read our guide on setting up Wi-Fi Assist.